In all likelihood, the Sask. Party will retain their leadership role in Saskatchewan, with Brad Wall remaining our Premier following the April 4 election. The Saskatchewan NDP faithful might dismiss this assertion, but according to various polls and the fact that Wall has consistently been named Canada’s most popular premier, let’s accept this is a probability — not an inevitability, but a probability. While provincially it might appear to be a done deal, in Prince Albert there is no certainty in either city riding: Prince Albert Northcote and Prince Albert Carlton. 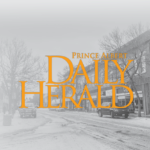 Both were Saskatchewan NDP strongholds until relatively recent in their history, with Darryl Hickie gaining Prince Albert Carlton in 2007 and Victoria Jurgens painting over Prince Albert Northcote’s orange with green in 2011. Saskatchewan NDP strongholds until then, it has made for an interesting and hard-fought race between the Saskatchewan NDP and the Sask. Party. The Saskatchewan Liberals have also been thrown into the mix, and our city’s absentee Saskatchewan Green Party candidates are in there… somewhere? Probably home in Regina. While picking apart each party’s platform has been and will continue to be of central importance in selecting whose name gets an “X” on the ballot, one must also look at the reputation of each candidate. This is an idea the city’s Saskatchewan NDP candidates have been repeating throughout their campaigns, during which they’ve touted the idea that area Sask. Party MLAs have been “the voice of Regina in Prince Albert” and not vice versa. It’s a damning accusation given their mandate to represent the constituents who elected them. It’s also an accusation with cloudy merit. Let’s dig into the issue a little deeper and examine two recent debates/forums that Prince Albert Northcote’s Sask. Party incumbent Victoria Jurgens and Prince Albert Carlton’s Sask. Party candidate Joe Hargrave declined to attend. Last week, they declined to attend a debate on public services and this week they’ve declined to attend a forum on reducing Saskatchewan’s carbon footprint — a forum that was subsequently cancelled in light of their impending absence. No satisfactory reason has been offered for these declined invitations, but then, how often is it you see Sask. Party representation at such events? How many North Sask. Laundry events did you see Sask. Party MLAs at? They were invited on a few occasions to help explain why about 100 local jobs were being lost through the privatization of health region laundry services, but they never attended. Yes, it would have been awkward, but nobody said their jobs were supposed to be easy. MLAs are supposed to not only take on the difficult topics, but also collect local feedback and share it with ministers and other government heads in Regina. Important Prince Albert voices and opinions are not being collected and represented in Regina if the MLAs are absent. When the Saskatchewan NDP talks about lack of representation and “Regina’s voice in Prince Albert, not Prince Albert’s voice in Regina,” this is what they are talking about — albeit a bit hyperbolically. Prince Albert’s Sask. Party MLAs have advocated for Prince Albert on many things, with varying levels of success. We have a new St. Anne Elementary School, new gymnasium at Carlton Comprehensive Public High School, $2 million in planning for a new or renewed Victoria Hospital and various other wins for Prince Albert. But, where have they been when tricky, less popular topics have arisen? That’s where the representation we’ve needed has been missing. Previous articleDifficult choice at the polls?